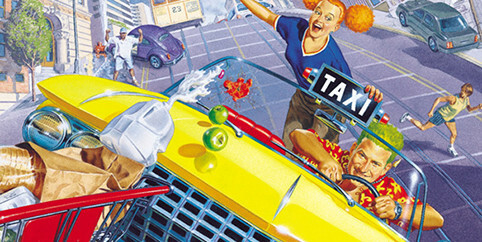 SEGA has now given a release date for Crazy Taxi, the second Dreamcast classic title to be re-released on XBLA and PSN. Crazy Taxi will be ready to start earning some crazy money this November. * High-definition 720p graphics presented in a widescreen 16:9 aspect ratio. * Achievements and Trophy awards. 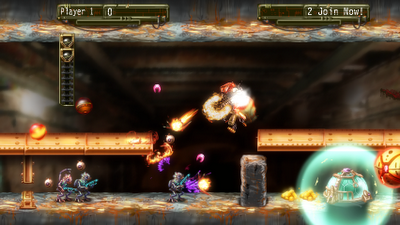 * Arcade Mode and Original Mode. * Crazy Box makes a return, with all 16 mini games. Explosionade, developed by Mommy’s Best Games, has been delayed once more after a previous delay for a near release bug. However, this time the delay doesn’t arise from their internal code glitches or bugs, rather more Xbox Live Marketplace issues. Nathan Fouls, the studio head of Mommy’s Best Games, has posted on the studio’s development log that the Top Downloads portion of Xbox Live Marketplace can be “stuck for days, sometimes over a week.” Fouls claims that their games could lose a potential revenue boost from this feature and it hurts the players as well. By not updating accurately, many gamers may miss popular titles and think that nothing currently popular is worthwhile. Explosionade has been delayed indefinitely until Microsoft has responded to this issue. Quite a shame as the game was looking quite good and fun, but now we may never get it or at least have to wait a while longer.